You've all asked for it and we have listened. 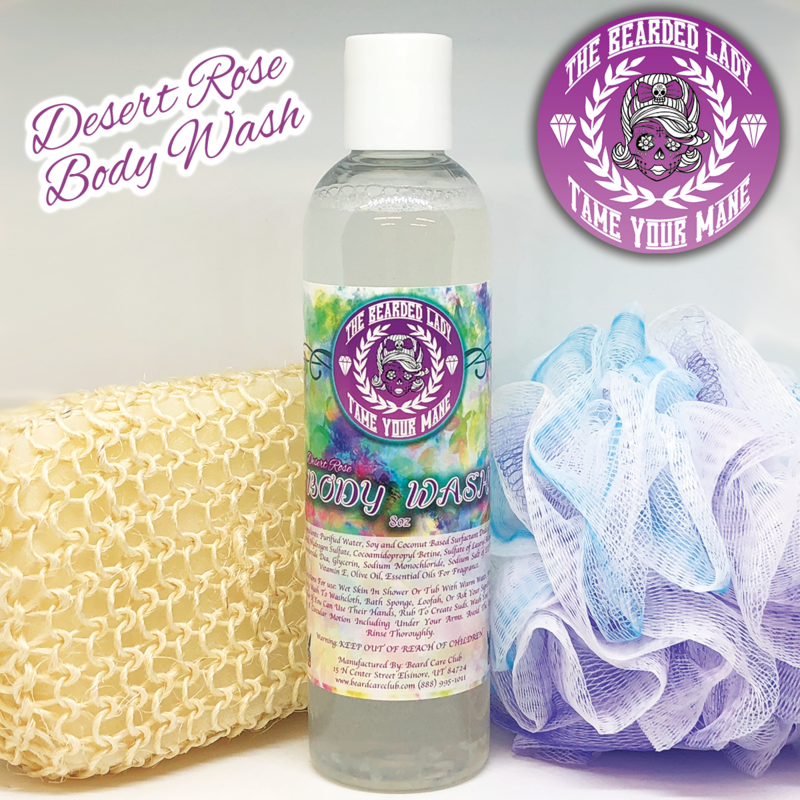 BCC Grooming Company and Bearded Lady are proud to unleash our Women's Desert Rose Body Wash. If we were to describe this body wash's scent we would say it smells very similar to Rose Des Vents by LV. This body wash contains Vitamin E and Olive Oil so it's gentle on your skin and will leave you moisturized all day long. The scent isn't too strong once it washes out, so you can use any of your favorite perfumes after. Ingredients: Purified Water, Soy and Coconut Based Surfactant Dodecyl Alcohol, Hydrogen Sulfate, Cocoamidopropyl Betine, Sulfate of Lauryl Alcohol, Lauramide Dea, Glycerin, Sodium Monochloride, Sodium Salt of EDTA, Vitamin E, Olive Oil, Essential Oils For Fragrance.